Yoyogi park(Yoyogi Koen) is fifth widest metropolitan park in the 23 wards of Tokyo. 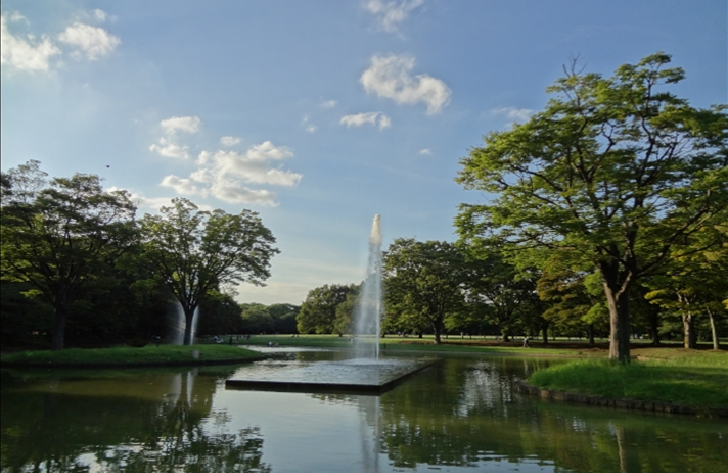 The feature of Yoyogi park is the breadth with lawns and ponds despite located in huge city Tokyo. It provides relaxcing time with people who like to do picnick, jogging and any outdoor activities. Yotogi park is divided into two district. A district has wide forest park that probably would be preffered by people who like to relax and jogging. On the other hand, B district has athletics field and outdoor stage. 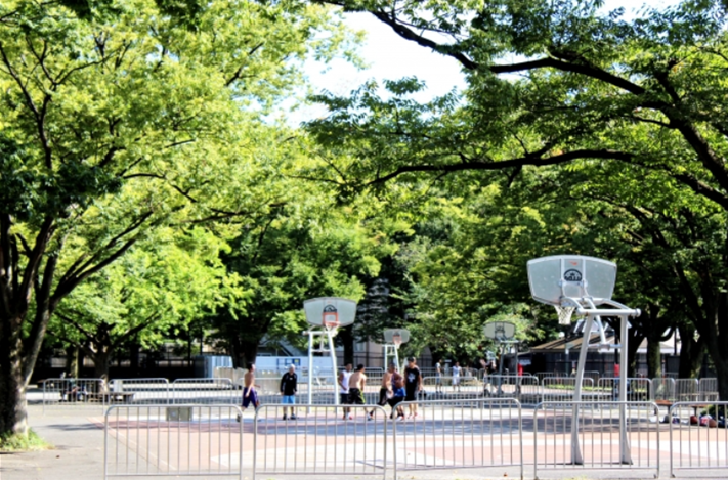 This place has long history that it used to be training field of Yoyogi Army and became dormitory premises of US military named Washington Heights after war, and became athlete village of Tokyo Olympic. After that, it finally became Yoyogi park in 1967. Trees that were still young at the time of the opening were completely grown now with trees of the adjacent Meiji Jingu Shrine. 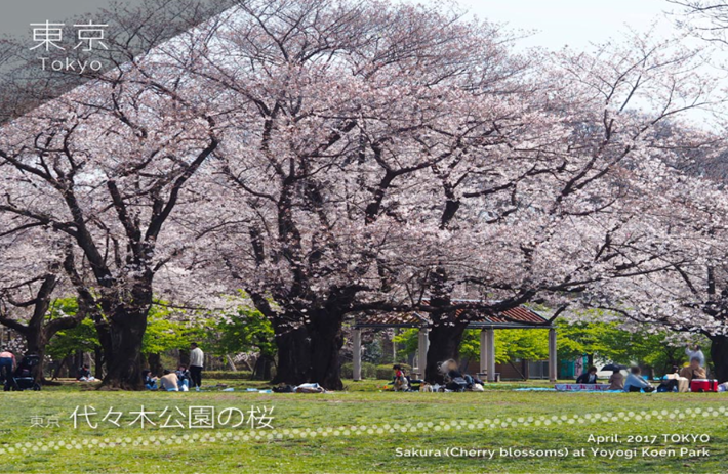 Yoyogi park is also knowm as cherry blossom (Sakura) viewing spot in spring although number of cherry trees are not a lot compering to other famous sites in Tokyo. A lot of people come to Yoyogi park for Hanami which is long established Japanese custom, picnic around cherry trees. 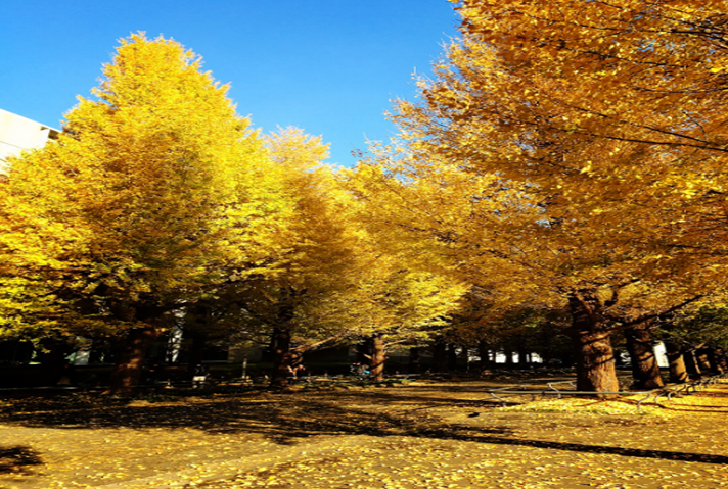 Yoyogi park also has a lot of Ginko trees forest that turns gold in autumn season. Plants: Camphor, Black pine, Cherry, Crape myetle, Rose, Azalea, Orange osmanthus, Wax myrtle, Tulip Tree, Hapanese ternstroemia, Stone oak, Lily magnolia, Dogwood, Japanese Zelkova, Acer palmatum. Facilities: Stadium, Hockey and football field, Cycling course, Children’s cycling plaza, Dog run.